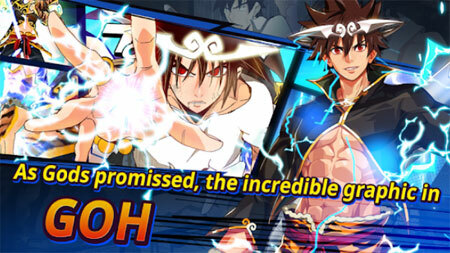 G.O.H – The God of Highschool is an amazing action RPG from SN games, based on Naver Webtoon, The God of Highschool. Enjoy full 3D action that’s perfectly animated. Log-in for 2 weeks special mission for special hero acquisition. The game features varioius game modes, such as Hero Battle, Team Battle, Rune Temple, Infinite Nox, Challenge Tower and more. Guild exclusive contents with Guild War, Coalition War, Conqueror Mode etc. If you get stuck in the game, check out the video walkthrough and gameplay for the game. This entry was posted in Android Games, iOS Games, Mobile Games, Walkthrough and tagged G.O.H - The God of Highschool Cheats, G.O.H - The God of Highschool Game, G.O.H - The God of Highschool Gameplay, G.O.H - The God of Highschool Guide, G.O.H - The God of Highschool Hints, G.O.H - The God of Highschool Review, G.O.H - The God of Highschool Solutions, G.O.H - The God of Highschool Strategy, G.O.H - The God of Highschool Tips, G.O.H - The God of Highschool Walkthrough by Marvin. Bookmark the permalink.